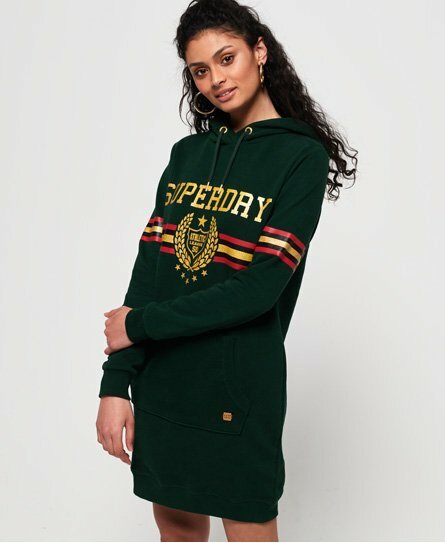 Superdry women's crest glitter sweat dress. Add some sparkle to your everyday wardrobe with this sweat dress, featuring a drawstring hood, front pouch pocket and glitter effect logo on the chest. This dress is completed with stripe panelling on the hood and a small logo badge on the pocket.